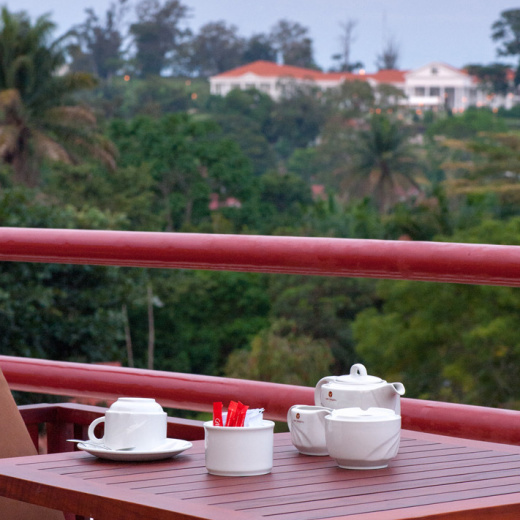 Lake Heights Hotel is a modern, corporate hotel conforming to the East African Grading council Standards, situated on Plot 13 Church Road Entebbe. The development is in the upscale suburb of Bugonga, on the Entebbe peninsula, with stunning 360 degree views of Lake Victoria and State House and is within three kilometres of Entebbe International Airport. The hotels key target market is both short stay visitors, including air crew, airport transit visitors, and the longer stay, corporate guests, who seek efficient and modern accommodation and hospitality services. Visitors will appreciate their stay on the Entebbe peninsula, well known for eco-tourism and recreational facilities, including an 18 hole Golf Course, Wildlife Education Centre (the zoo) and the Botanical Gardens. Night life in Entebbe is vibrant with several sports bars and nearby beaches providing opportunities for fun and relaxation. The hotel has been established as a limited liability company registered in Uganda with Ugandan shareholders as the founders. The interior decor has a modern contemporary feel with an essence of Africa.